IT’S no secret that Instagram is a channel your small business can no longer neglect. As of September 2015, Instagram had over 400 million monthly active users. That’s quite a bit more than Twitter’s reported 327 million monthly active users. You mostly hear about Twitter needing to be the channel to focus your small business social media marketing on and not too much is said about marketing on Instagram. Are companies not buying into what the Instagram platform offers? Perhaps it’s the lack of tools and automation available on other channels? Is it because small businesses don’t know what to do? That ends today as I show you 4 incredibly useful tips small businesses can get more out of Instagram. Look, there’s no point in jumping into marketing on Instagram if you don’t even know who you are marketing to. If your messaging doesn’t align with your audience and the channel, you will be fighting an uphill battle. You’ll need to understand who you are marketing to. This is typically accomplished by creating personas of your target customer. Doing this process will help you to better understand who you are marketing to and what messages resonate with them. Aside from knowing who you want to follow, you can also study who is already following you. There are several tools out there that can give you this insight, or you can be like me and use Microsoft Excel to get Instagram data for you. With Excel, you can filter by keywords, number of followers, number of users they are following, or even the amount of posts they have made on Instagram. In the end, it doesn’t matter how you get the data – the key is to look at it closely to understand who your audience is. Once you know who your ideal audience is, you’ll have a better idea how to best go about creating engagement with them. Of course this will probably be different for everyone depending on what industry you are in and what type of content resonates with your audience as there are a variety of ways to create engagement. I’ll touch on a few ideas of how to create engaging posts. Perhaps, you sell a physical product like bowling balls. A great way to subtly market your product to your audience is to not only show your product in use, but to also show the success or accomplishments that can be achieved by using your product. For example, take Ebonite Bowling. They are a manufacturer of various bowling products including bowling balls. Check out this post that not only shows one of their products in use, but also demonstrates the success of using it. What’s nice about this approach is that there is not any direct selling occurring. Instead, Ebonite let’s their product market itself by showing that you can also be successful by using it. By creating engaging content on Instagram, you will help expand your reach through people commenting, liking, and sharing your content. What happens when you feel like you have hit a wall in growing your audience? It’s sometimes easier to partner with other Instagram pages in order to reach a new audience. Especially, an active audience. This is typically called a “shout for shout” or “shout out”. What this means is that you will post something to your account that promotes someone else’s account. In exchange, the account you are promoting will post something to their account that promotes your account. You can do this the old fashioned way by manually identifying large Instagram accounts that have an audience demographic similar to yours. Once identified, you will need to contact them to see if this type of exchange interests them. If your following is similar in size to their following, typically you can do an even swap. Meaning that you each post promoting each other without having to pay anything. Should you want to get a larger account to send out a shout for you, they will probably want to be compensated. You’ll need to decide what you can afford and what is fair to both parties. There is another option to get access to new audiences without having to do a “shout for shout” exchange. However, this will definitely cost you some money. You can use a service that essentially arranges the shout out for you. Instead, their service allows for a one-way shout out. Basically, you pay a fee to the site in order for them to facilitate the shout out with an account of your choosing. One such site is ShoutCart. While I have not used them, the option is there if you want a quick way to reach a new audience. You can filter the results by industry, audience size or price in order to identify accounts that may be a good fit for you. One thing to note when ordering, you will have the option to have your post live on the Instagram account for a set time or indefinitely. If you choose a set time, then your post will be removed from the account after it has been live for that set time. Depending on the amount of followers an account has, chances are your shout out will get pushed pretty far down a user’s timeline within two hours. However, this is something you should test and monitor as everyone’s audience will be different. The last Instagram tip I would like to cover is automation. On channels like Twitter, Facebook, or LinkedIn there are quite a few social media tools to help with automation. Unfortunately, with Instagram there are not too many. 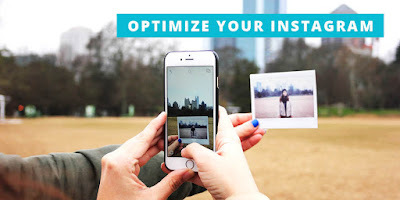 However, I have identified several Instagram tools that can help with certain aspects of marketing your small business. As with any social network, there is not a one-size-fits-all tool. You will need to take a step back and see what areas make the most sense in utilizing a tool. I will say that you will need to use automation with caution. Using tools should help you be more efficient with your social activities. However, there is one thing that social media tools can’t replace. And that’s interaction. In the end, it is up to you to use automation to help with efforts that don’t necessarily need a human touch or are repetitive. Interaction and engagement should be a manual process. There’s no doubt that your small business can take advantage of Instagram marketing. It may differ from the approaches that you have taken on other social channels in terms of messaging, media, and automation. While I have given several tips that you can use on Instagram, it’s up to you to test and see what does or doesn’t work. If you aren’t documenting your activities, how will you know if it’s working? Instagram might be one of the newer social media networks, but success is driven by the same core activity that works on all the other channels. Engagement. You might not get much engagement early, but as the account grows your business will build relationships with the target audience. Over time, this will lead to compounding engagement on your business account that will help you get the most out of Instagram. I’d like to hear about how you or your small business gets the most it can out of Instagram. Please be sure to let me know in the comments below.